Over time, we’ve continued to create new and better ways to use Chrome devices. What started out as a secure, quick and shareable consumer laptop built on the Chrome browser has expanded to digital signage, now used in thousands of Toyota showrooms, small computing sticks called Chromebits, and kiosk devices that securely provide single use apps for both business employees and customers. We’re continuing to invest in Chrome through recently launched hardware, more Chrome device management controls and the introduction of Android Kiosk apps on devices that support them. Many kiosk devices already rely on Android applications, so the addition of Android kiosk apps on Chrome is a natural expansion. It also broadens the possibilities for digital signs and kiosks on Chrome devices, providing the option of either a web or Android app approach. 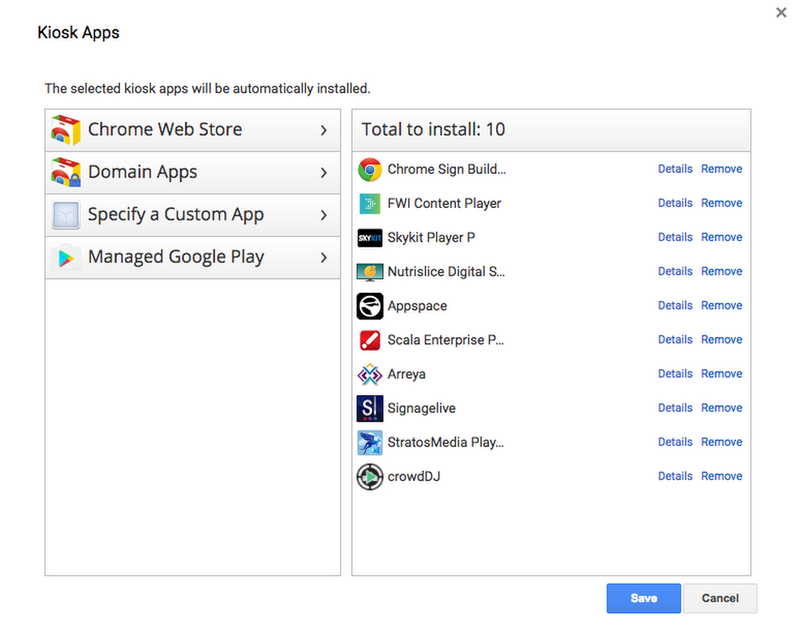 Chrome version 57, coming soon, adds this support for Android kiosk apps as well as for kiosk application management. An app in Google Play can be pushed to a Chrome device and then be locked down so that the application is front and center. That means an IT admin has the flexibility to install either Chrome Kiosk apps or Android Kiosk apps on managed devices through the Chrome Management console, which decreases deployment time and effort. Additionally, with Public Session Kiosks, an IT admin has the ability to install many more Chrome packaged apps and extensions in addition to hosted apps. We’re also making it easier to manage Chrome devices with two additional developments. First, we’re making it simple for you to sign up for a Chrome kiosk, doing away with complex domain registration and verification steps. Your name, email address and phone number is all you need to sign up and manage your devices. With this feature, we also provide two trial licenses so that you can get started immediately. Click here to learn more. Second, we’re launching new Chrome Device Management (CDM) APIs for Kiosks. These APIs offer programmatic access to various Kiosk policies. IT admins can schedule a device reboot through the new APIs, for example, and integrate that functionality directly in a third party console. Additionally, we added a new stability API that allows Kiosk app developers to improve the reliability of the application and the system. Many Chrome devices can take full advantage of these new features including the recently launched AOPEN Chromebox Mini and Chromebase Mini. Chromebase Mini is a full computing device with 10.1-inch touchscreen, which is ideal for customer-facing applications, even those that are Android-based. 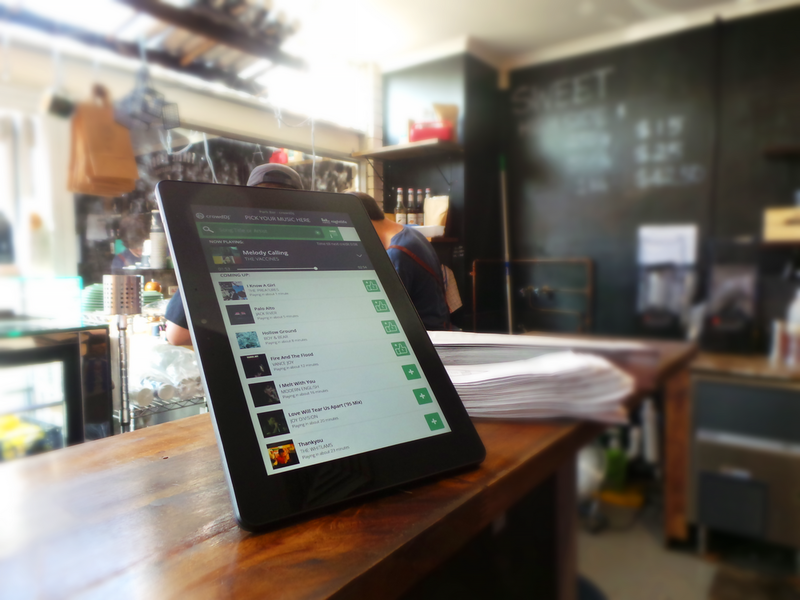 Australia-based Nightlife Music, for example, installs its crowdDJ Android app on these kiosk devices at dance clubs, gyms, hotels and other venues, letting customers control the beat. When paired with a display, the AOPEN Chromebox Mini also creates a compelling digital sign with Chrome and Android kiosk apps. To learn more about the many new Chrome 57 features and see the AOPEN devices that can help build your business, come visit our booth at Next 2017 this week or visit this page for additional information.